Rebrand Software - PartyVote: Costume Contest - Invite your friends, snap some selfies and vote on your favorite costumes! 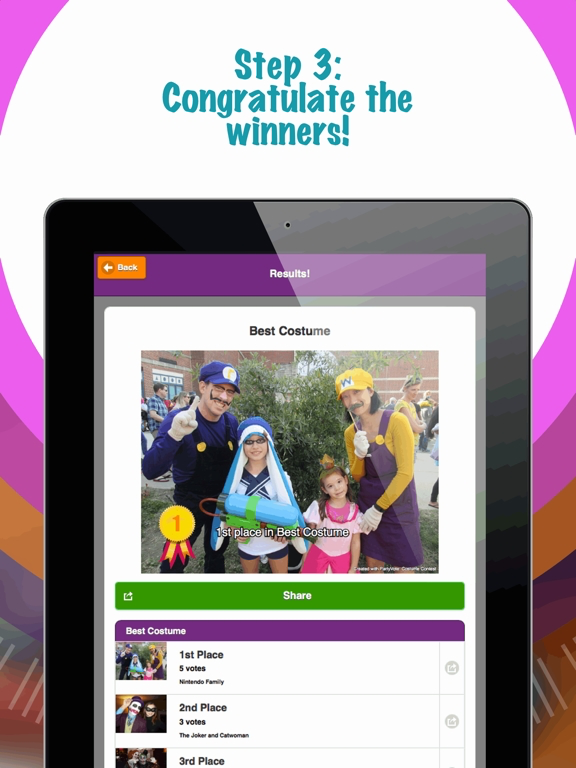 Invite your friends, snap some selfies and vote on your favorite costumes! Having a costume party? 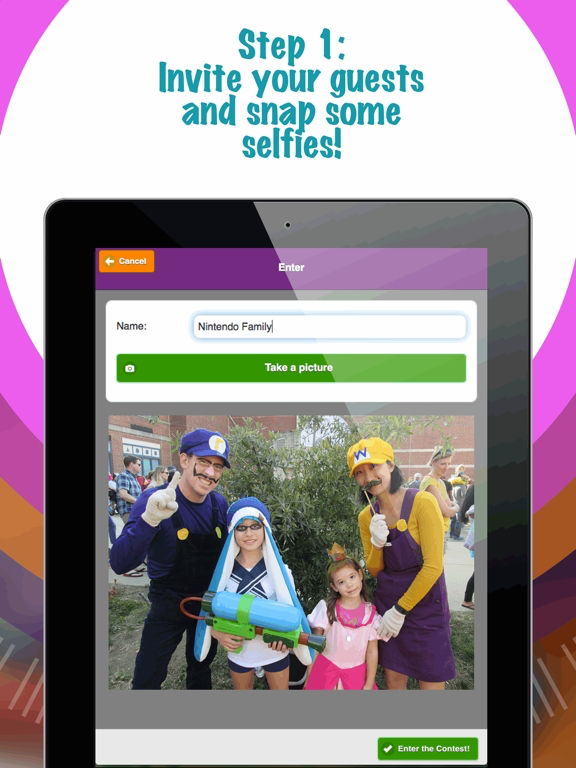 Have your guests snap a selfie and vote on your favorite costumes! 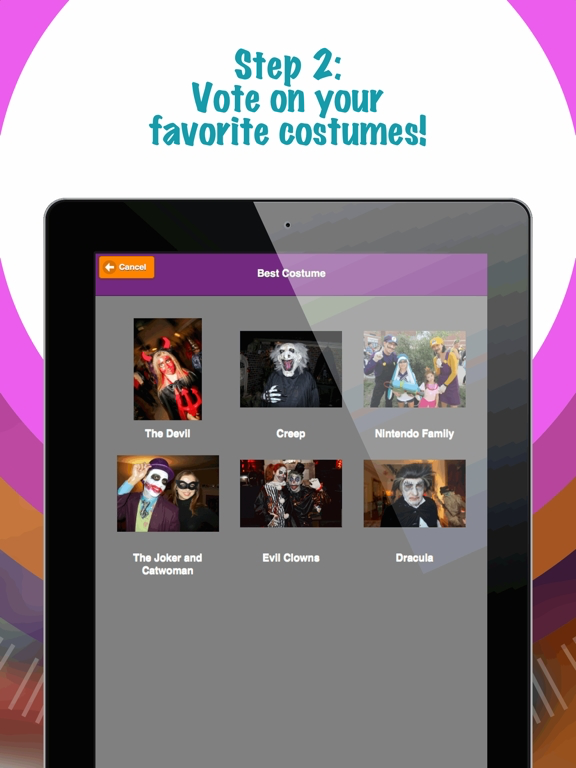 PartyVote is great for Halloween, Mardi Gras, Carnival, cosplay, or a masquerade. Simply snap of a photo of each costume and let your guests vote on their favorite. Vote on multiple categories like Best Costume, Best Group Costume or Silliest Costume. You can even add your own custom costume categories. When voting is complete, automatically tally the results and see who wins the gold medal! Easily share your costumes and results on social media. We used it for my daughter's friends at our halloween party. The kids passed our iPad around and enjoyed voting. My daughter won but I think there may have been some bias! Fun app!